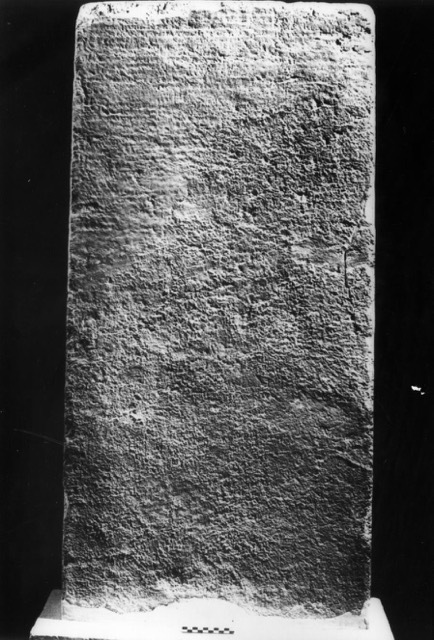 Small slab of grey marble, broken at the bottom. This group devoted to Zeus Karaios and the heroic founder of Anthedon (Anthas) likely met within the gymnasium where this honorary monument was erected. 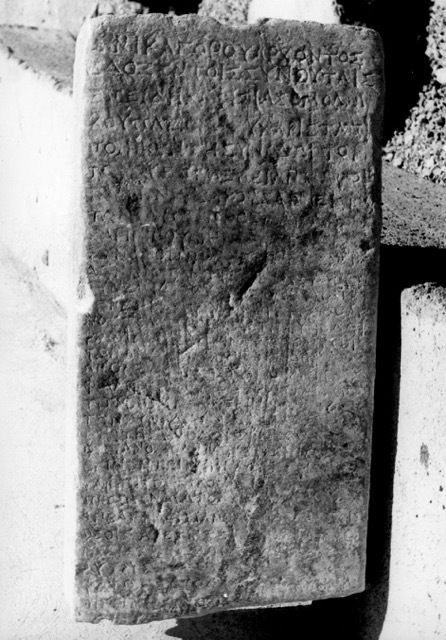 When Nikagoras was civic leader (archōn), it was resolved by the fellow-sacrificers (synthytai): Since Kaphisias son of Homoilochos has given more beneficent gifts to the synod (synodos), namely he has taken care of the place in an appropriate manner; he covered the costs in advance from his own resources so that the synod would not fall short of the income it needed; and, he has given freely, devoting himself to this at every opportunity and eagerly covering the cost of expenses for the synod. It is appropriate for the synod to portion out worthy honors for such things done by men to those who exhibit benevolence in every way and hospitality towards the synod. Therefore, let it be resolved by the synod to crown Kaphisias son of Homoloichos with an image, to set it up in the gymnasium, and to inscribe on the image: “The fellow-sacrificers devoted to Zeus Karaios (“Horned”) and Anthas (i.e. 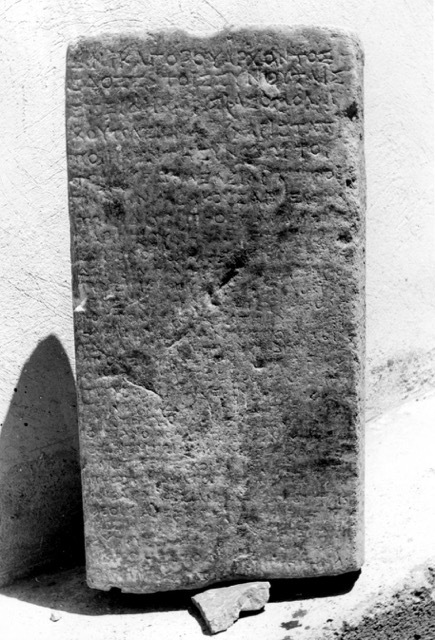 heroic founder of Anthedon) dedicated this to the gods for Kaphisias son of Homoloichos because of his virtue and beneficence which he continues to have towards them.” Let the synod inscribe this decision on a stone slab (stele) . . .
Roesch 1982, 91-104 (photo 1). Photo courtesy of Archives P. Roesch – HiSoMA (UMR5189) – MOM, Lyon (phRP_01064). Roesch 1982, 91-104 (photo 2). Photo courtesy of Archives P. Roesch – HiSoMA (UMR5189) – MOM, Lyon (phRP_01069). Roesch 1982, 91-104 (photo 3). Photo courtesy of Archives P. Roesch – HiSoMA (UMR5189) – MOM, Lyon (phRP_01070).